3 days of live sketching at the CSIO Barcelona Furusiyya Nations Cup Jumping Final 2016. Thank you Living - Luxury Real Estate for the invitation. Video by AGS Vision and ESDesign School. Sunday basic kit: sketchbook, bike, blue sky and a smile. 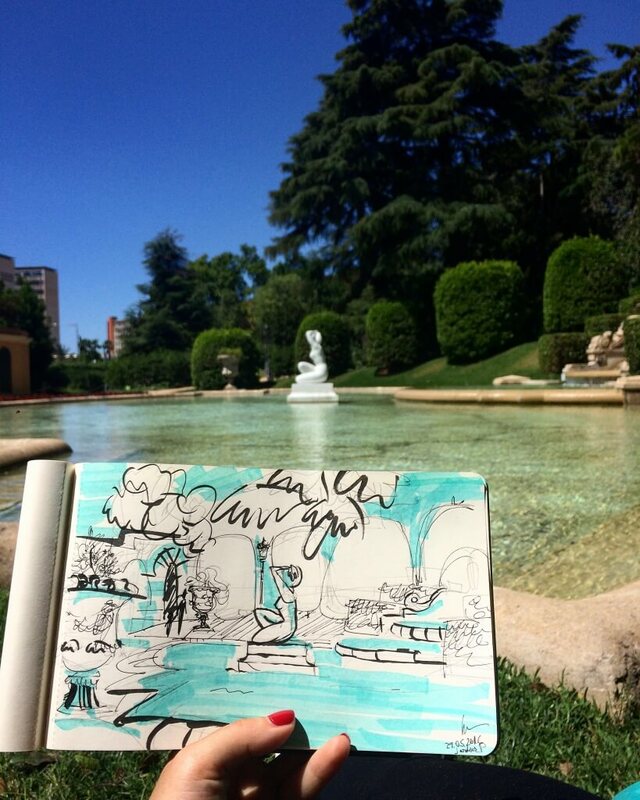 Never stop exploring, Barcelona is truly inspiring, here’s a quick sketch from Jardins de Pedralbes, a beautiful place.